Walton Brown, a politician from Bermuda, has written a new article on The Guardian's website entitled Bermuda: we are not a tax haven. Our standard response to this kind of headline is: pull the other one. With a secrecy score of 85 out of 100, Bermuda is a very secretive tax haven (or, if you prefer, a secrecy jurisdiction). "UK Prime Minister Cameron "summoning" the leaders from the remnants of the British empire to London." "in taking this step, Cameron has extended the reach of the UK beyond its constitutional powers with regard to Bermuda. 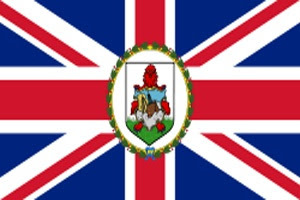 Under Bermuda's constitution – admittedly, merely an order in council of the UK parliament – Bermuda retains power over economic and fiscal matters, not the UK. Cameron's actions have shown little regard for the allocation of powers under our constitution and it does not bode well for the future." "As a matter of constitutional law the UK Parliament has unlimited power to legislate for the Territories." And read plenty more in this report by Christian Aid and the IF campaign. The problem is: the City of London has been making too much money from Britain's tax haven racket, and so it has made sure that wrist-slapping is usually the worst that happens. Finally, a kind of threat. Although Brown's not obviously speaking in an official capacity, in our experience of small captured island states like Bermuda, you generally don't speak out so forcefully without at least an informal nod from the powers that be. "Independence has been an issue little discussed since the 1995 referendum, when a low turnout spurned by a boycott called by one of the two parties saw a firm rejection of nationhood. If Britain continues down the path of meddling in the economic affairs of overseas territories and seeming to dictate a course of action, particularly while the territories are already working to meet international obligations, there will be a battle akin to that of David and Goliath. But for the David that is Bermuda the recourse may simply be the path to autonomy." This is pure bluff. Bermuda earns its economic rents from two factors, perhaps equally important: one, its zero-tax environment and secrecy facilities; and two, its very close, half-in, half-out constitutional relationship with the United Kingdom: the constitutional and legal bedrock that reassures all that flighty money that it is safe. If Bermuda were to whip this bedrock out from under its feet, it could still be a secrecy jurisdiction - but it would be a more marginal one. We have seen this kind of threat before. It is empty.